clean and expert brow shaping and hair removal. Choose either a lip or chin wax and quickly remove unwanted hair. Remove unwanted facial hair. *Brow wax & shaping included. Remove unwanted hair on your entire face, includes brows. "I have had Kristina and Megan do my brows and every single time I have a perfect job. They take the time to shape and frame your brows down to each fine hair. I usually do a wax but began tinting because it made my brows retain their shape and it just looks so much better as they grow back. 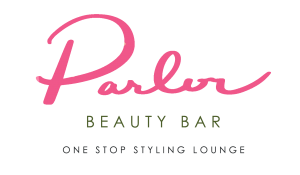 I highly highly recommend Parlor, the location is in a fun neighborhood and the environment was modern, upscale and luxe!" "Been getting my browns done with Kristina about two years. I was always trying different salons and browns bar before but no one ever nailed it like her. She is extremely professional and knows what she is doing. She maps my brows every single time and make sure if that's what I want! What I most like about her is that she is very gentle with waxing and somehow makes my brows grow crazy and look natural. She never got me late or cancelled appointments. Parlor always gives the best service!!! Tks girls!"